Elijah Kane, an ex-special forces operative and martial arts expert, is part of an undercover police team that carry out an often brutal style of law enforcement on the streets, similar to what Casey Ryback does on a boat. | Street Wars: Is the "True Justice" series really that bad ? I recently saw "Deadly Crossing". It's not really a movie but the first two episodes of Seagal's latest TV-series "True Justice". Since that is the pilot (and calling card) extra effort was put in that one: a lot of action, the bad guys were OK and overall an interesting introduction of the main characters. Seagal did a number of decent fight scenes and there were several shoot-outs. Now, as another marketing trick, two more episodes were released as yet another DVD movie. It's "Street Wars" and the story looks more interesting this time (on paper, it even reminds you of the classic "Marked For Death") It's hard to understand how such a story is completely underused in this boring mess. The bad guys are blank and uninteresting, their characters are totally underdeveloped. Instead, the story sidetracks to some stupid personal problems of several team-members. Seagal looks tired as he sits behind his desk most of the time. He hits a bad guy or two, and that's about it. The biggest flaw is that there's hardly any action at all. The final shoot-out is cheesy and reminds you of an old "A-team" episode. Also, the two "hot chicks" on the team are unconvincing. 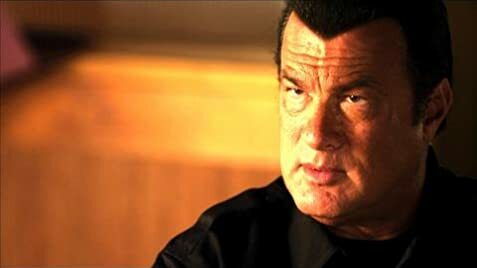 I'm a Seagal fan and besides the classics he made some good efforts recently, like "Driven To Kill". Movies like that made you forget about the really awful ones (Ticker, Submerged). But I really think that we can't expect anything really good in the future. After this series, he is most likely to retire. In Europe, certain pairs of episodes have been edited together (with different title music) to form "movie format" versions.